The views, the light, the air - wow! 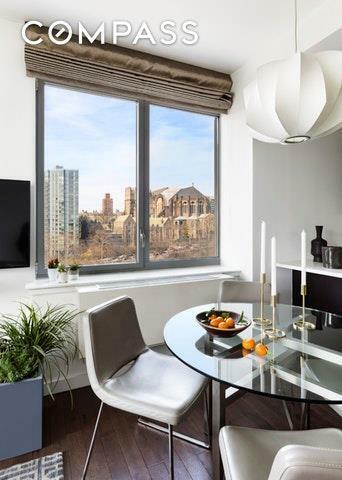 Walk in to this incredibly appointed corner two bedroom, two bathroom home perched above Morningside Park & Central Park with stunning floor-to-ceiling windows offering southwestern views of the city skyline and the majestic Cathedral of St. John the Divine. 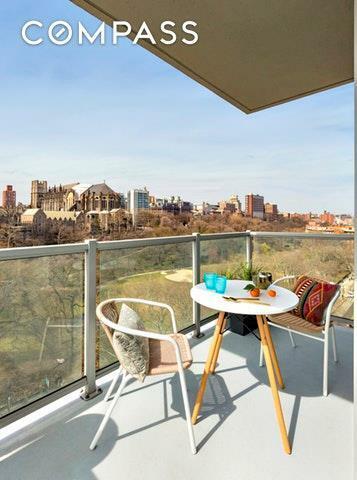 Imagine drinking your morning coffee on the large wrap around balcony with the birds chirping in Central Park or the sun setting over your dinner with peaceful surrounding greenery. As you enter, you are welcomed by an open contemporary kitchen showcasing custom cabinetry, Luce Di Luna countertops and a breakfast bar. The bedrooms are privately located down the hallway off of the living space. 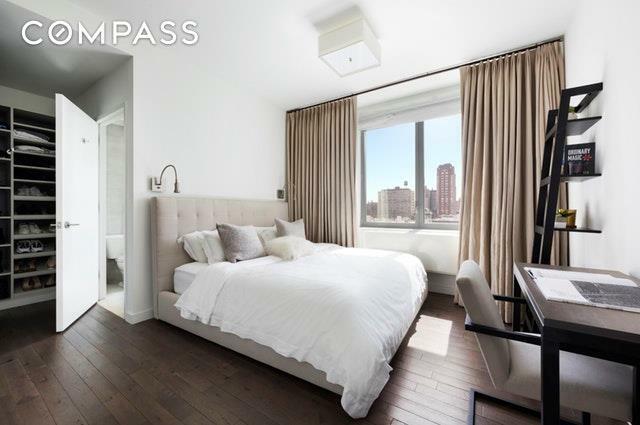 The spacious master bedroom is outfitted with a large walk-in closet, two additional custom closets and a sleek windowed ensuite bath with southern views highlighting Central Park and downtown Manhattan. The bright and airy second bedroom boasts two closets and fantastic southern views. The apartment has 9 ft ceilings and boast beautiful warm oak floors throughout and comes equipped with a washer/dryer.One Morningside Park has a 20-year 421-A Tax Abatement YES taxes are only $53 per month!! The amenities and services include a 24-hour doorman, fitness center, common roof deck, bike room, and cold storage for fresh food deliveries. 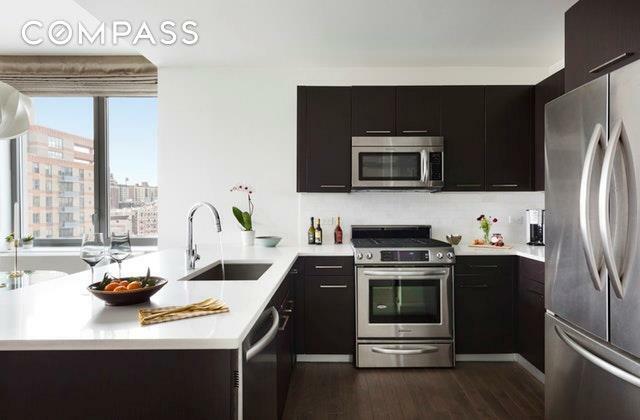 Conveniently located with Central Park and Morningside Park steps from your door. B/C Train is less than a block away and a few blocks to the 1 Train.